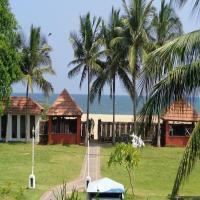 Pondicherry is a tourist destination that appeals to everybody owing to its beauty and several attractions. If you are exhausted due to the boring routine of your daily life and need an escape, then Pondicherry is where you should head to. Plan a trip in the winter months from November to March when it is very pleasant since it is very hot and humid in the summer. There is so much to do in this lovely place. You will never get bored, and you will come back with renewed energy to face life. 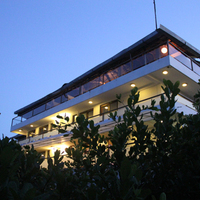 To enjoy your trip, you need to book a nice accommodation. 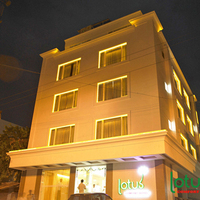 There are several 3-star hotels in Pondicherry to suit varying budgets. 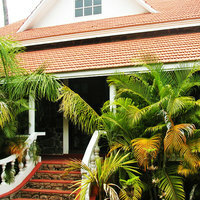 These are perfect stay options if you want a nice accommodation that is not as expensive as 4 or 5-star hotels. 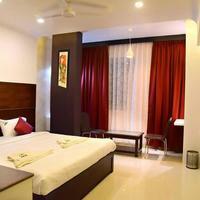 All you need to do is book in advance, so you can avail the best offers and deals available on Cleartrip. Pondicherry was a French colony, and you can still see French influences everywhere. 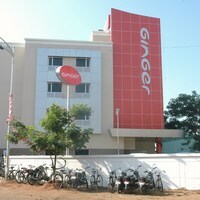 Some of the hotels too reflect the same in its architecture. 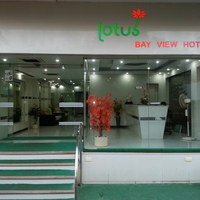 A decent 3-star hotel accommodation is a good way to enjoy all the comforts when on a holiday. 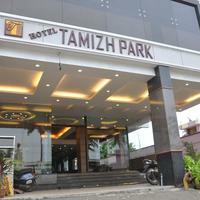 Most high-end 3-star hotels in Pondicherry are centrally located. 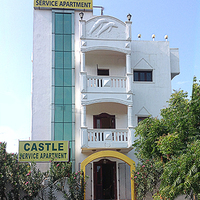 They offer you all the basic amenities, such as 24-hour room service, laundry, a restaurant and coffee shop, parking, and even a travel desk. Some of them may even offer massage services and gymnasium as added perks. Some facilities for business travellers include conference rooms and business centres with projectors. 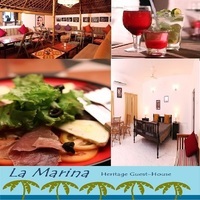 The food choices are also plenty with many multi-cuisine menu options available. 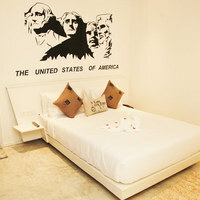 After spending the day sight-seeing and walking around town, a 3-star hotel offers you a comfortable place to relax. 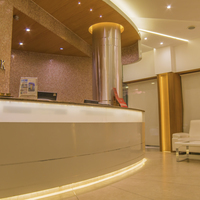 Since 24-hour hot water is another facility available in these hotels, you can take a hot water bath and order some delicious food, as you relax in your comfortable hotel room with a nice decor. 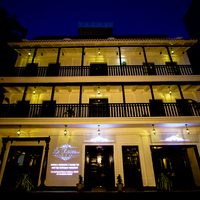 Some Pondicherry 3-star hotels also have bar where you can head for a drink and some music before retiring for the night for another day of exploring Pondicherry. 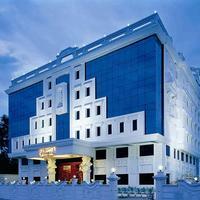 Cleartrip makes your task of planning and booking 3-star hotels in Pondicherry much easier and convenient. 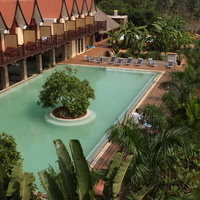 Plan your holiday in advance and start searching for hotel options as per your requirements on Cleartrip. It is a good idea to shortlist a few options after checking complete details and travellers' reviews and ratings. This information will assist you in making your final choice since these reviews are genuine. 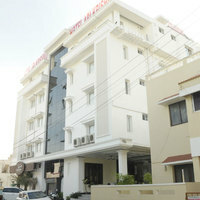 You must also keep the location of the Pondicherry hotels in mind to make your stay more enjoyable and hassle-free. 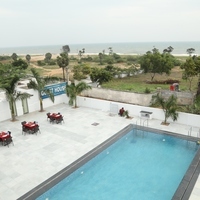 Some of the many options available on Cleartrip are the St James Court Beach Resort , and the Maison Perumal-CGH Earth , which is a Tamilian style heritage property. 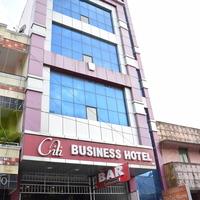 Hotel Abi Krishna is also a good 3-star accommodation you can choose. AT Cleartrip, we also offer wonderful cashback offers and discounts from time to time. 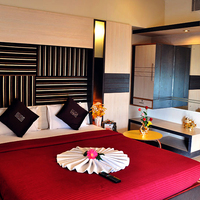 Plan your trip well and book your hotel via Cleartrip in advance to avail our exciting online hotel booking deals. A vacation helps create memories to last you an entire lifetime, and Cleartrip aims to help you create the best memories. You can visit heritage villas and the thatched roofs of the French quarter that will transport you to another era, along with the quaint caf's and bakeries with their delicious offering that will leave you wanting more. 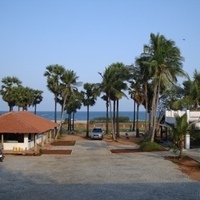 Beaches, churches, temples, museums, and most importantly amazing stay options, Pondicherry has it all. So plan your trip soon!